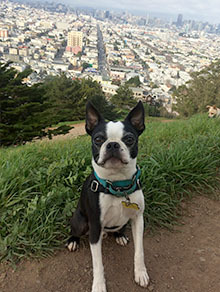 Small dog walking adventures, hikes in SF. Dog walking + training! More than just Dog Walking. 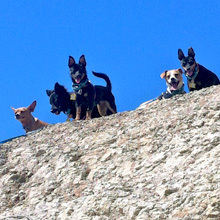 We provide Small Dog Adventures! 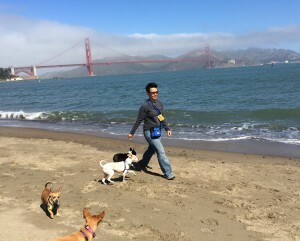 San Francisco offers dogs and owners a wealth of parks, beaches, and trails. Not to mention many dog walkers to choose from. The Art of Dog is dedicated to providing a different kind of dog walking experience. We strive to make dog walking an art form. 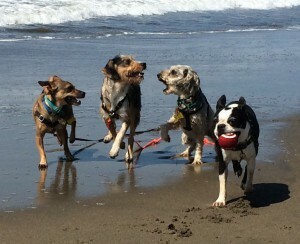 Your dog plays with 5 friends her own size, chosen to match her energy level and personality. The results? Safety and fun! 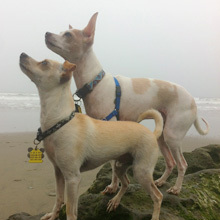 We walk our playgroups in beautiful SF locations, choosing low-trafficked routes to keep small dogs extra safe. 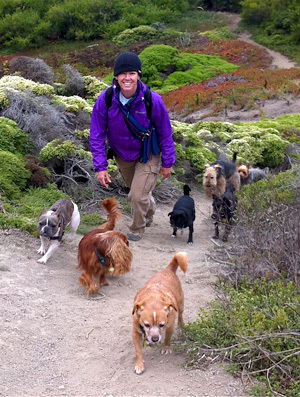 We are dog*tec certified dog walkers, canine 1st aid certified, licensed/ bonded/ insured, and meet or exceed GGNRA and SF regulations. We enjoy keeping in close contact with our clients through our Facebook page and regular walk reports for your peace of mind. Small dog owners know first-hand the risks of taking their little companions to crowded, fenced-in dog parks. 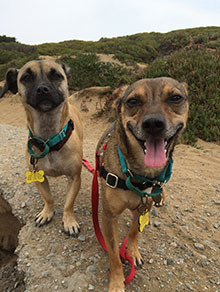 We bring our small dog clients to beautiful, open spots such as Fort Funston, where we keep on the move, guiding our packs on adventures through the safest, most secluded areas, where they can romp and play under close supervision. And though exercise can’t cure all behavior issues, well-exercised dogs are less likely to misbehave. Is your dog barking, jumping up on people, chewing furniture or leaving accidents? Give The Art of Dog a try. Note: To maintain safe routines and well-composed groups while ensuring you see maximum results at home, we require smalls to adventure with us 4 times per week minimum. Bonus: Overnight boarding service in our loving home environment is available exclusively to our walking and daycare clients. Walks, playtime, and medication administration (if needed) are all included. 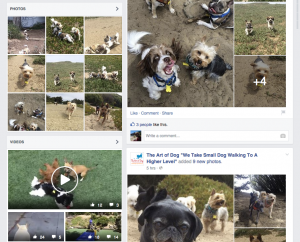 Does your small dog have bigger needs? Have a young dog whose energy reserves seem endless? A senior dog who could use additional supervision and attention? Or would you just feel better knowing your dog has company all day? 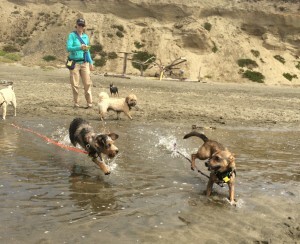 Our all-day small dog daycare may be the perfect fit. Each small dog at our Stay & Play Center enjoys a daily itinerary customized to her own needs and preferences. Learn more. Get to know us a bit better on our About page, and read client reviews on Yelp, Facebook, and our Testimonials page. San Francisco small dog walks for Castro, Bernal Heights, Noe Valley, Mission, Glen Park, and Diamond Heights neighborhoods.